A conversation on key-words and key-concepts established in the framework of EUCANET, a Europe for Citizens action co-founded by the EU. EUCANET is the European Agencies Network for citizenship, inclusion, involvement and empowerment of communities through the urban transformation process. 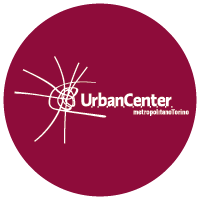 The project involves five partners from four countries: Urban Center Metropolitano Torino and Urban Center Bologna from Italy, City of Marseille from France, city of Skopje from Macedonia and Cluj Metropolitan Area Intercommunity Development Association from Romania. EUCANET aims to explore how city agencies and urban authorities can contribute raising the standard of citizens’ inclusion, promoting civic involvement, local communities empowerment and co-creation of urban commons, sharing theoretical, practical and operational knowledge. During EUCANET Kick-off meeting, “Committing to city spaces” Torino 7th-9th march 2017, local and international experts, scholars and practitioners were invited to debate and reflect upon the project assumes: the discussion involved Matteo Robiglio (Politecnico di Torino), Alessandro Coppola (Politecnico di Milano – GSSI) and Laura Sinagra Brisca (Comune di Chieri), who were asked to define the words “Rules”, “City-making” and “Urban Commons”. Want to learn more about EUCANET?